What do you do, Linda Wilson? Pregnancy is often thought of as a very happy time in a woman’s life. But this is not the case for everyone. The World Health Organization estimates that worldwide, approximately 10 percent of pregnant women and 13 percent of women who have just given birth experience a mental disorder. This can lead to negative effects for both mother and baby, including higher risk for stillbirth or premature birth, reduced response to a child’s needs, mental and physical health issues for the child, and in rare cases, even suicide. Despite this, many pregnant and postpartum women do not get the behavioral health care they need. At Boston Medical Center, a group in the Obstetrics and Gynecology Department is trying to change this by embedding behavioral health care in the department. While embedded behavioral health care is not new at BMC, this group is trying a slightly different approach. In the more traditional model, physicians provide a “warm handoff” of patients to either a social worker or psychiatrist, but this can be difficult in a busy clinic and can lead to long wait times for patients to get behavioral health care. In addition, no-show rates are high, due in part to both long wait times and patient confusion over who is providing their care. The OB/GYN behavioral health model is being rolled out in three stages. In the first stage, which has been ongoing since August 2016, a social worker, psychiatrist, and patient coordinator are embedded in OB/GYN and have an open door policy for any providers to schedule patients for sessions or who need a consult – this policy facilitates direct access to behavioral team and decrease no-show rates. Patients can be seen for as little as one session or as many as nine months, depending on needs and pregnancy stage. If medication is recommended, the OB/GYN team will have the patient’s OB or primary care doctor prescribe the medicine if they feel comfortable doing so, further reducing the number of providers a patient must see. Otherwise, the behavioral health team continues taking care of pregnant and early postpartum women as they improve and are ready to be transferred to their primary care providers. The second stage, which will be rolled out in the next few months, is an iHealth platform that will be used in the OB/GYN waiting room. In this stage, a patient coordinator will be in the waiting room to provide mental health assessments – short, evidence-based questionnaires – for pregnant women waiting to see their doctors. Depending on what the assessment shows about a patient’s needs, they will be offered different types of care, from no extra care to a case manager, therapist, or a psychiatrist. Patients will also download an app that will provide periodic mental health and pregnancy check-ins and reminders, which helps streamline care and allow patients to have more control over their own care. Results from the assessments will eventually be integrated into Epic, so that providers can have a full picture of their patients’ health statuses. In the third stage, this mental health assessment will be given to all OB/GYN patients, whether or not they are pregnant. This will give the team a fuller picture of barriers to mental health care in this population, and they are collaborating with Ron Iverson, MD, vice chair of Obstetrics and director of Labor and Delivery, and Sarah Crane, MD, medical director of OB/GYN on a quality improvement project to reduce these barriers. The goal of this program is not to provide long-term psychiatric care, but to provide stabilizing short-term care and then help patients gain access to appropriate follow-up care. The team will either provide medication or talk therapy for a patient, but will reassess after approximately three months. If a patient needs long-term care, they will be referred to outpatient psychiatry for talk therapy or to their primary care physician for medication maintenance. This will also help ensure that the OB/GYN team can continue to see new patients are necessary. So far, the program has seen 36 patients, approximately one-third of whom have been seen only one time. The current no-show rate has been around 50 percent, which is average for BMC’s population and in outpatient psychiatry in general. However, the team will continue to track no-show rates and hopes to get under 20 percent within the first year. The OB/GYN team is also collaborating with Family Medicine and the community health centers, as they also serve many pregnant women. They are currently working on the process of patient referral from community health centers, and are collaborating with staff from Pediatrics and OB to train people at the community health centers to provide embedded mental health care. As part of a broader hospital-wide effort to reduce readmissions, a team in Boston Medical Center’s Cardiovascular Center has been working with patients with heart failure to provide enhanced support not just for clinical issues, but also for lifestyle changes. The result of this effort has been a 50 percent reduction in readmission of heart failure patients and inclusion on the Becker’s Hospital Review list of 50 hospitals with the lowest heart failure mortality rates. BMC’s heart failure transitional care team, which provides this support, consists of two nurse practitioners, an outpatient pharmacist, and five cardiologists who specialize in heart failure. Before a patient with heart failure is discharged, a nurse practitioner and the pharmacist meet with them to go over medications and necessary lifestyle changes. The NP also works with the patient to figure out their exact symptoms and teach them to recognize those signs, as well as when to call a doctor and who to call. This team-based plan also ensures patients have access to good primary care follow-up, whether that is connecting patients with a new primary care provider or bringing a patient’s existing provider into the process. If necessary, the team will have several meetings with each patient to ensure they understand all the information they’re being given. Once a patient is discharged, a registered nurse or clinical pharmacist will call the patient within two days to check on them and schedule a follow-up appointment within seven to ten days. After these initial appointments, a nurse practitioner will see patients as often as appropriate, whether to adjust medications or help with heart failure triggers and lifestyle changes. In a study conducted with the state of Massachusetts, BMC found that this approach can reduce readmissions in heart failure patients by 50 percent, bringing BMC’s 30-day readmission rate to 13 percent, compared with the national average of 24 percent, which was also the expected rate of readmissions at BMC. In addition, this intervention was found to reduce the severity of heart failure and save BMC $12,471 per patient per year. 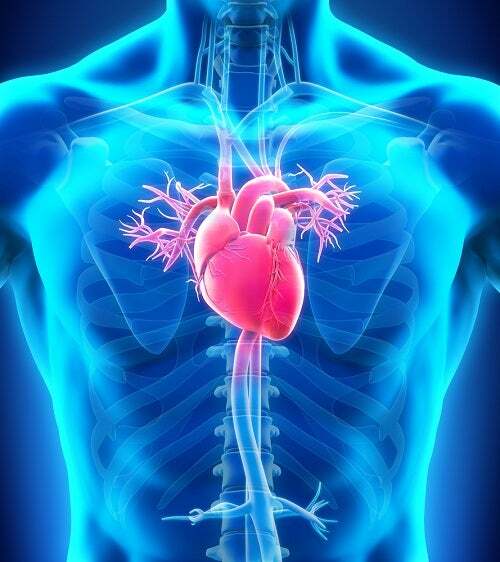 Currently, approximately 30 percent of patients with heart failure receive this enhanced support, but the team plans to expand to all heart failure patients. In addition, they’re considering expanding a program bringing medications to patients at their bedside before discharge, to help increase medication adherence and are hoping to work more closely with the Primary Care Community Outreach program to help patients who have more profound needs, such as not having access to transportation or healthy food. When you visit your doctor, they will often ask if you smoke or how much you drink, but rarely will they ask about guns in your home. But thanks in part to BMC, that may soon change. A new initiative from the Massachusetts Attorney General’s Office and the Massachusetts Medical Society, along with advisors from BMC, pushes to make gun safety a health safety issue, one as important as drinking or smoking. 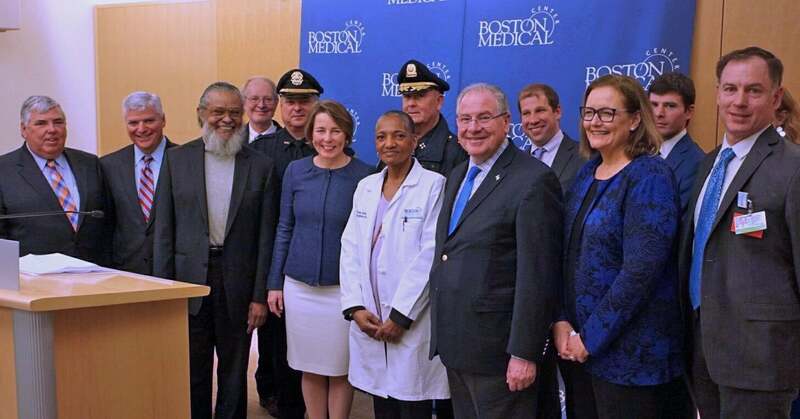 On February 13, law enforcement, government, and medical leaders from across Massachusetts gathered at Boston Medical Center for a press conference announcing new resources and online training programs to guide providers to help stop gun accidents and violence. These resources, written by several Boston-area doctors including Thea James, MD, BMC’s vice president of mission and associate chief medical officer, are available to help providers talk about gun safety with patients effectively and appropriately. “We see the tragic consequences of gun violence every day,” said Kate Walsh, president and CEO, who opened the press conference. While most gun owners are responsible, she said, “we know that guns are still a major health issue and a question of safety for children and families. We save lives, but the damage to communities due to gun violence is incalculable.” The concern of these guidelines, therefore, is preventable tragedies, and to help providers talk to patients like they would about any safety concern. These guidelines are new, but talking to patients about gun safety has been taking place at BMC for many years. In particular, the Pediatrics Department has been a leader in this area. Maura Healey, the Massachusetts attorney general, then spoke, saying that although Massachusetts already has tough gun laws and the lowest homicide rate in the United States, “any one gun death is too much.” She stressed that to tackle this issue, partnerships between law enforcement, public health, government, and medicine are necessary. To this end, Walsh and Healey were joined by James Gessner, MD, president of the Massachusetts Medical Society, Massachusetts House Robert DeLeo, several state representatives, district attorneys from Norfolk, Suffolk and Middlesex counties, and the presidents of the Massachusetts Chiefs of Police Association and the Massachusetts Major Cities Chiefs. The new resources, which are available on the Massachusetts Medical Society website, cover topics from legal restrictions on asking patients about gun safety – there aren’t any in Massachusetts – to when reporting is mandatory to ways patients can store guns safely and make them less accessible. For providers who want more information and training, webinars and continuing medical education are also available. "This is not mandatory, this is not a law, this is not a new regulation, this is not a new requirement,” said Healey. “What it is, is a resource. And a resource that we think is going to help make a difference in preventing gun injuries and deaths across our state." A series of recent ad campaigns have called attention to hepatitis C, a serious liver infection that was discovered nearly three decades ago. In these new pharmaceutical company ad spots, baby boomer-aged men and women are shown enjoying nature while a voiceover suggests that this population should get tested for hepatitis C. Though the ads call the disease, “a virus that’s almost forgotten,” that is not the case here at BMC. The disease is very much front and center at BMC, which is on the cutting-edge of hepatitis C treatment. The BMC Brief complied five things you should know about hepatitis C and how it’s treated at BMC. 1. Hepatitis C is a serious disease. There are two types of hepatitis C infections – acute and chronic. In the United States, there are an estimated Approximately 80 percent of people with an acute infection, which occurs within the first six months after exposure, will develop chronic infections, which can cause liver damage, cirrhosis, and even liver cancer. While chronic hepatitis C can be a lifelong infection, it is curable. Hepatitis C is contagious and usually spread through blood – sharing needles for injectable drugs is a very common cause. It can also be spread through a mother with hepatitis C giving birth or sexual activity, though this is rare. Co-infection with disease such as HIV is also possible. Recently, the Centers for Disease Control and U.S. Preventive Service Task Force recommended that all baby boomers – people born between 1945 and 1965 – be screened for hepatitis C. They are five times more likely than other age groups to have been exposed to the virus, due to a combination of high intravenous drug use and the fact that the blood supply was previously not tested for hepatitis C.
Many people with both acute and chronic hepatitis C are asymptomatic, making it even more important that those in high-risk groups are tested. 2. Hepatitis C treatments have improved drastically in recent years. While hepatitis C infections – particularly acute infections – clear on their own in about 20 percent of cases, treating hepatitis C traditionally wasn’t easy. A course of treatment could take a year and often came with many side effects. In addition, the cure rate with older medications was only around ten percent. This meant that patients often didn’t want to be treated and would either choose to be monitored by a doctor or do nothing. However, this has changed drastically over the last several years. While patients still might be monitored instead of started on medication if they don’t have liver cirrhosis, “there has been a paradigm shift in hepatitis C with new treatments,” says Iona Bica, MD, a BMC infectious disease physician who specializes in hepatitis C.
Instead of a year, a full course of treatment now takes eight, 12, or 16 weeks, depending on the type of hepatitis C and the chosen medication. Side effects are much less severe and common than they used to be. In addition, Massachusetts announced in the summer of 2016 that MassHealth would cover the three most commonly prescribed hepatitis C treatments, which means that BMC patients rarely have issues with their insurance not covering medication. 3. BMC patients have a strong system of care. At BMC, patients are treated in either Gastroenterology, the Infectious Disease clinic, or Primary Care. All three areas also work closely with Pharmacy, and all patients who start treatment are seen by a pharmacist who counsels them on topics such as managing side effects and adherence strategies. When a patient comes to the Infectious Disease clinic to be treated, they’re seen by Faye Huang, NP, who takes a detailed history, does preliminary bloodwork, and, with a pharmacist, provides education on hepatitis C and its treatment. Within two weeks, each patient then sees one of the clinic’s three physicians who specialize in hepatitis C, who assesses their disease and further discusses treatment options. To assess the severity of a patient’s disease, all three clinics use a Fibroscan, which uses ultrasound technology to assess liver disease and is located in the GI clinic. Once an appropriate treatment is chosen, patients are monitored routinely by their provider for the course of the treatment. In addition, some patients – such as those with more advanced liver disease – require lifelong monitoring for conditions such liver cancer or esophageal varices, in collaboration with Gastroenterology. 4. BMC’s treatment model has been highly successful. Providers at BMC have been particularly successful in getting patients to both start and finish treatment. While treatment completion is 60-70 percent nationally, 99 percent of patients who start treatment at BMC finish a full course. Part of this success is self-selection. 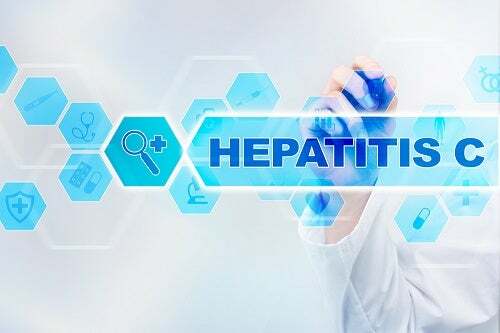 Huang and the hepatitis C doctors work closely with patients to determine their readiness for treatment; patients must be able to reliably come to appointments and maintain a baseline level of sobriety in order to receive treatment. If a patient is not ready to receive treatment, they will be monitored until they are ready. Most of this success can be attributed to the collaborative model used to treat hepatitis C at BMC. Because all patients see a pharmacist, they have a fuller understanding of how to manage and adhere to their treatment. In addition, case managers, a psychiatrist, and a psychologist are all available for patients who need their services, including help with housing or transportation, which are both major barriers to treatment. 5. Education is key for hepatitis C patients. Many patients have to make lifestyle changes to become ready for treatment or prevent further hepatitis C complications. For example, drinking alcohol increases the chance of liver damage, so patients need to be educated and counseled as to what changes they need to make. Education can also help patients decide to get treated. According to Huang, many of her patients at BMC know someone who have already had hepatitis C treatment, which helps change the perception that the treatment has many side effects or is ineffective. In addition, this is one place where direct-to-consumer pharmaceutical advertising has a positive effect, says Bica. What do you do at BMC? I prepare trays for patients and deliver them to the floors. When I first get in, I prepare my station and put together patient menus. After I put the trays together, I bring them upstairs and the nurses will give me any information I need about special diets for patients that day. I use those sheets to bring meals to patients. Usually, I work on 7N in the Newton Pavilion, but I’m required to be familiar with every floor, in case I need to fill in for someone. You’re known for greeting patients in each unit over the loudspeaker when you begin work. Why is helping create a positive patient experience important to you? When I get to each floor, I use the intercom at the nurses’ station – I always ask the nurses first – introducing myself to patients and telling them I’m on the floor. I say good morning, good afternoon, or good evening depending on the time of day, and tell patients to clear their bedside tables so they’ll be ready for their trays. I also thank them for choosing BMC. It’s common for me now, but people are usually surprised by it the first time. Some people compare me to a flight attendant and even call me “Miss JetBlue,” which makes me feel good that people recognize me for it. When I first started this job, they told me to let patients know that you’re on the floor, but that didn’t seem like enough to me. So when I started to tell patients I was on the floor, adding the extra information just came right out. I love doing it and patients love it. Not only do they know the food is here, but people show me how they cleared their bedside table and I even get applause sometimes. I started at BMC when I was 17, in my last year of high school. I had been working in a hair store and a friend told me that I could make more money working at University Hospital. So I applied, started in Hospitality, and have been here for 44 years. The thing I like most about BMC is the people. I’m a people person, so I like to talk to patients and they like to talk to me. I also like that I have the opportunity to pass along words of wisdom to patients and other employees. I tell patients that I’m glad to see them come and glad to see them go, because when they go it means we did our jobs and the rest is up to them. I love people able to send people off with a cheerful word. I wanted an honest job that makes me feel good about myself and about life, and I just feel good about life with this job. I like to go to casinos, but I’m also very much a church person. Every Sunday I’m not working, I’m in church. I also have six grandchildren. Joshua Safer, MD, an endocrinologist at BMC and medical director of the Center for Transgender Medicine and Surgery, was honored with the Massachusetts Medical Society’s Lesbian, Gay, Bisexual and Transgender (LGBT) Health Award. The award recognizes a medical student or physician who has made outstanding contributions to LGBT health. Maunil Bhatt, MD, a resident and researcher in the Department of Surgery, has won the Global Surgery Research Fellowship Award from the Association for Academic Surgery. The award provides $10,000 for those who are interested in advancing the field of global surgery through research. Bhatt will carry out his research in India. Scott Eischen, director of CDI and coding, and Jackie Judd, revenue cycle analyst, have both won individual achievement awards from the MaHIMA, the state association for health information management professionals. Eischen is the recipient of the Professional Achievement Award, which recognizes individuals who advance the health information management profession. Judd is the recipient of the Champion Award, which recognizes volunteer service to MaHIMA. David M. Greer, MD, MA, FCCM, FAHA, FNCS, FAAN, FANA, has been appointed Chair of the Department of Neurology at BU School of Medicine and Chief of Neurology at Boston Medical Center. He will join BUSM/BMC on June 30. Greer currently serves as professor of neurology and neurosurgery, vice chair of Neurology, and the Dr. Harry M. Zimmerman and Dr. Nicholas and Viola Spinelli endowed chair at Yale University School of Medicine. In addition, he is the Neurology Department’s director of medical studies and director of the stroke service as well as co-director of the Neurovascular Center at Yale New Haven Hospital. Greer received his BA in English literature from Williams College, an MA in English literature and MD from University of Florida, and an MA, privatim, from Yale. He completed an internship in internal medicine and a residency in neurology at Massachusetts General Hospital, followed by fellowship training in vascular neurology and neurocritical care, also at MGH. Previously, he was as associate professor of neurology at Harvard Medical School and associate neuroscientist at MGH before joining the faculty at Yale. Brigham and Women medical residents turned their 2017 Winter Ball into a fundraiser, raising over $15,000 for BMC’s Immigrant and Refugee Health Program.